Spending your time down by the water or on the beach this summer? You need a piece of jewelry that will match your newest outfit, but also fit in with your surroundings. The loud, edgy statement pieces may look great when you are at a party in the city, but spending time down by the water is not the time to shock the senses with the sharp lines of that trendy new necklace. What should you wear instead? Wave pearl earrings are a great way to look great this summer while making a statement about your look. The centerpiece for a wave pearl earrings is a large, beautiful pearl that can be customized to fit the color scheme that you are going to wear most this summer. If you want to match your earrings to a gold bracelet or watch, you can choose a gold pearl to wear in the setting. This pair of pearl earrings is also an excellent choice if your jewelry box is full of gold already, giving you plenty of pairing options and another great choice when you’re looking for that perfect pair of earrings for your night out. For a more casual look that works great next to a lake or ocean, you can choose a pink or Tahitian pearl and silver setting. The Tahitian pearl and silver pair well together and provide a bit of contrast that will tend to draw the eye, perfect for an occasion where you want to stand out, but not overly so. The pink pearl in a silver setting is a bit more of a subdued look, but stunning nonetheless. You can easily pair this with anything from a bikini to a business casual outfit for your summer days in the office. It will give you that added touch that will get you noticed, but won’t look out of place. 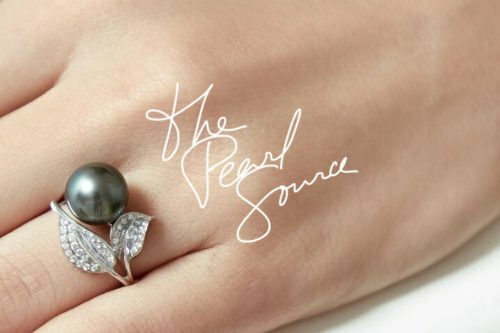 If you haven’t thought of adding a wave pearl earring to your collection, take a look and find the style that is right for you. Back to Basics: What is Mother of Pearl?